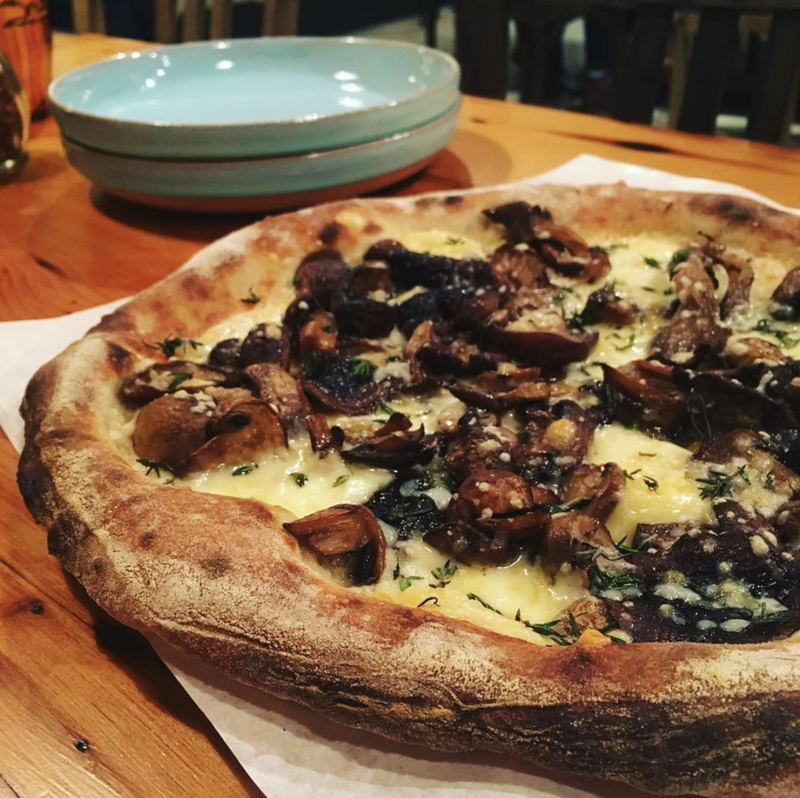 It’s no secret we’re head over heels for Echo’s, the new Mid-CIty pizza spot which opened last month as a joint venture between the owners of 1,000 Figs (Theresa Galli and Gavin Cady) and of Leo’s Bread (Kate Heller). Echo’s keeps things simple with wood-fired pizza, salads, fritti and “little things” like Dandelion Greens & Yogurt, plus (huzzah!) sandwiches on the lunch menu they’ll launch in just a few weeks. Kate Heller of Leo’s Bread is the mastermind behind Echo's pizza and bread baking, and she delighted us by taking a break from her full schedule to chat about her experience as a culinary entrepreneur. Read on to learn how she went from NOLA transplant to owning a bakery with a cult following to opening Echo’s in just four years. KH: Before Echo's I owned a small, mostly wholesale bread business called Leo's where I sold loaves of bread and croissants around New Orleans. Before that I was a baker out in California! KH: When I moved to New Orleans I had a good foundation of baking. I knew there would be lots more to learn along the way in terms of bread and business so I created a business that allowed me to start small & slow and grow with the demand. I wasn't sure what form Leo's would take ultimately and how New Orleans would respond, but I knew I was ready for a next step and just sorta took a leap once moving here. KH:I love love love baking and I love the happiness it brings to people. People love bread! KH: I think in business as in life some days are so good and some days are hard- it's trying to balance out the range of emotions and realities and to remember, ultimately, why you are doing what you are doing. KH:The support of customers has been overwhelming. Loyal folks and friends who show up every week and are still excited 4 years later. KH:It's not cooking but my favorite thing to make is juice! I really love fruit and there is some pretty good fruit down here in Louisiana. KH: Sandwiches! We are getting ready to open up for lunch at Echo's in a few weeks. KH:My ultimate goal is to have a healthy business with happy employees that makes good food here for the city of New Orleans, and to continue baking and growing. Echo's is located at 3200 Banks St. and is open Wednesday- Monday. Kate's loaves are available Thursday- Monday. Check their menu and hours here. Six weeks isn't nearly enough time to focus on our favorite female-identifying culinary entrepreneurs, but it's a start! Each week of Lent, we're bringing you an interview with one of the lady hustlers we admire most in the New Orleans area. Shout out your own entrepreneurial babes with #lentenlovenotes and we'll feature your tribute!